What direction does water flow? Most kids will say “south.” One explanation for this is that’s because kids’ image of the world is from their early view of wall maps. South is down, so water must flow down, very obvious. But let them get their hands in sand on a stream table (with one end elevated) and they will see that water can flow in any direction, but it always flows downhill. For the past semester at GSC’s Geography Club at the Union League Boys & Girls Club in Humboldt Park, we have focused on water. Its properties. Its behavior. Its movement. Its essence as a natural resource. 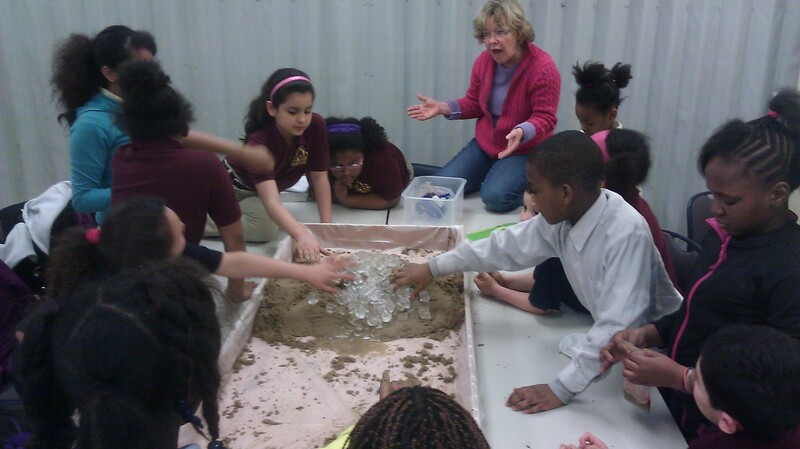 One of our teaching assistants, Alex Gareis, built a stream table, so kids could experiment with the connections between water and soil. They shaped the land and channeled water like small squealing gods of creation. They made a meandering stream, a dammed up river, an oxbow lake, a melting glacier, and a delta. 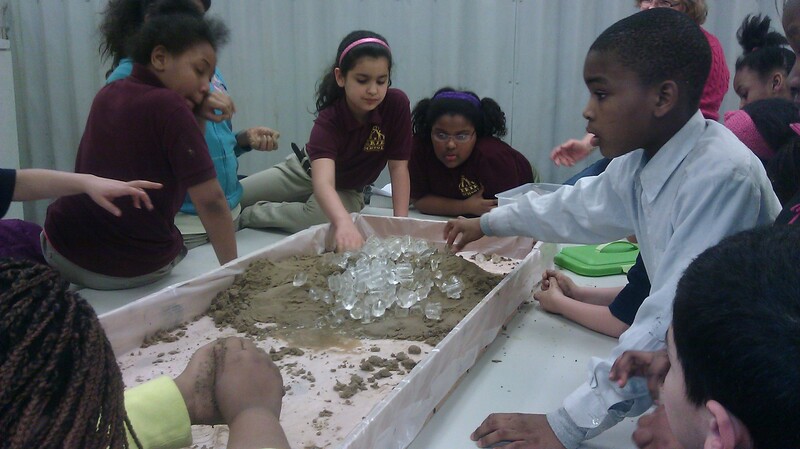 They witnessed erosion and deposition in real time. They built a farm with broccoli flowerets and brussel sprouts, then added food coloring “fertilizers” and “pesticides,” and watched the pollutants flow right down the watershed and into the ocean (our bucket at the low end of the table). It was quite a realization. The power of play and the love of learning. Dirt, dirty hands, and water gave them an inkling of how the world works. It was worth a few loud screams.